Analytics Fire builds custom software for the solar power industry. We’re looking for a senior full-stack developer with a willingness to acquire deep expertise around Ruby, Python, and React.js, in order to help us expand to support additional new high-tech sectors. 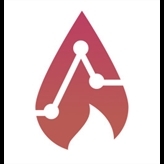 Analytics Fire is a small, distributed team working on a range of interesting projects. For example, last year we worked on a scalable IoT platform for utility grade solar power plants, a sales and design tool for residential solar, and a machine-learning powered autonomous cleaning robot. We’re looking for a fun, reliable, and highly collaborative, senior dev to join our team. This is a remote position. We’re flexible about location and hours, so long as your working hours are in a very heavily US-overlapping time zone (eg: North America, Central America, South America, etc). We’re a really great match for a senior dev in a US-overlapping timezone who wants to work hard on interesting projects, while also having flexibility around time and geography. Ideally, you should have 5+ years commercial full stack development, ideally within a startup environment. You should be comfortable autonomously driving your own high quality / high velocity contributions using a range of technologies. We work with a variety of technologies, but are currently specifically looking for someone that has or can obtain expert level skills around Python, Ruby, and React.js. Analytics Fire was founded by a couple of data-nerds -- one a PHd in machine learning and the other a former VP of Engineering for an analytics platform -- who both are also serial entrepreneurs backed by prominent angels and VCs including Y Combinator and 500 Startups.